Salto do Prego is located in Povoacao. Use our Povoacao trip itinerary builder to add Salto do Prego and other attractions to your Povoacao vacation plans. Walk walk walk and when we lose hope there the beautiful waterfall. Worth the walk to be able to contemplate that marvel. A nice walk to wear the "cozido das furnas". Along the way are two waterfalls and a Azorean landscape. Beautiful hike.. slightly cold water, hardly any people. This was a spectacular way to spend 90 minutes or so. Well worth it. What a nice experience walking to Salto do Prego. The hike took us only about 50min (to get to the waterfall). Back there you won't find a lot of people and we enjoyed a nice picknick above the fall near the stream. The hike is moderate to easy and shouldn't pose too many obstacles for most people. On the way down make sure to take the alternative route (just a bit longer) and you will have a great view out of the valley. This was a really memorable hike through ancient forest. Be prepared for a tough hike with lots of steep sections. 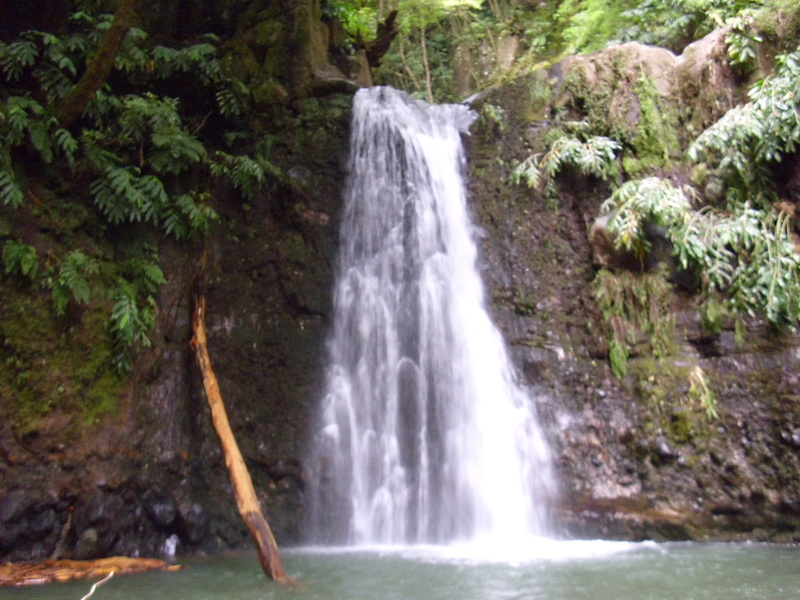 Ideally, bring a swimsuit and enjoy the waterfall as a reward. P.s. water is ice cold! If you plan to hike to Salto Do Prego, you took a good decision. This hike, PRC09, is very nice, quite easy, and gives you awesome view on the coast with its cliff. 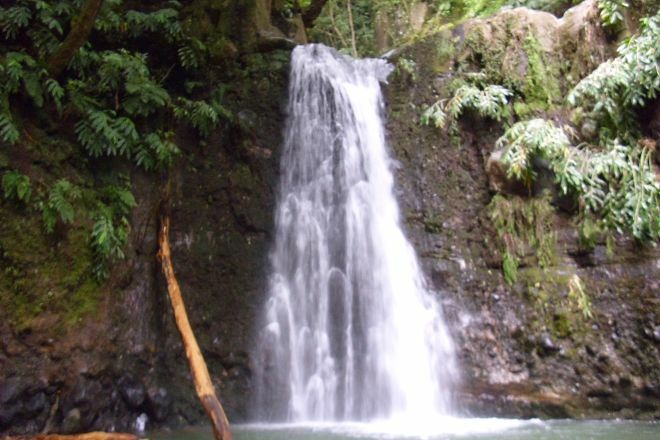 Of course the main attraction of this hike are the waterfall of Salto Do Prego and the nice antic village of Sanguinho. The hike is about 4km and 340m of elevation gain. It should take you about 2hours to enjoy it. In summer don't forget your swimsuit for a bath in the waterfall if you are brave enough to enter in this cold water. Every day, we help thousands of travelers plan great vacations. Here are some tips on how to use your Listing Page to attract more travelers to your business - Salto do Prego. Promote your permanent link - https://www.inspirock.com/portugal/povoacao/salto-do-prego-a2120556255 - on your website, your blog, and social media. When a traveler builds a plan from this page, the itinerary automatically includes Salto do Prego. This is a great way for travelers looking for a great vacation in your city or country to also experience Salto do Prego. Promoting your link also lets your audience know that you are featured on a rapidly growing travel site. In addition, the more this page is used, the more we will promote Salto do Prego to other Inspirock users. For best results, use the customized Trip Planning Widget for Salto do Prego on your website. It has all the advantages mentioned above, plus users to your site can conveniently access it directly on your site. Visitors to your site will appreciate you offering them help with planning their vacation. Setting this up takes just a few minutes - Click here for instructions.